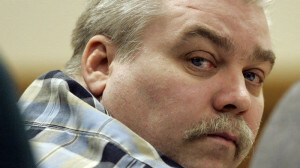 The sheer success of the series that helped kickstart a true crime TV blitz three years ago, demanded a second season of “Making a Murderer” (Netflix, streaming), if not the appeals process of Steven Avery and his nephew Brendan Dassey, who have been convicted and given life sentences while providing insight into the workings of rural Wisconsin justice system. The new season begins with the reaction to season one and the involvement of a new high-powered Chicago lawyer. In the imported British series “Wanderlust” (Netflix, streaming), Toni Collette stars as a woman who tries open marriage. It’s from “Constellations” playwright Nick Payne and co-stars Steven Mackintosh as the husband. Congratulations abound on the “Real Time with Bill Maher: Anniversary Special” (HBO, 10 p.m.), mostly from former guests on 15 years of his HBO show. His canceled “Politically Incorrect” goes back a decade before that. New rules: Be more humble. On the new “Haunted” (Netflix, streaming), ordinary people talk about their spookiest experiences, which are lavishly recreated. Not so much a “Haunting of Hill House” (Netflix, streaming), which premiered last week, it’s more along the lines of endless cable shows like It joins a crowded cable field that includes “Haunted Live” (Travel, 10 p.m.). Romola Garai takes a timely look at the startling speeches in “Measure for Measure” on “Shakespeare Uncovered” (PBS, 9 p.m.). Then Brian Cox explores “Julius Caesar” at 10 p.m.). A third season starts for the Marvel superhero series “Daredevil” (Netflix, streaming) starring Charlie Cox as a blind vigilante. The Canadian hip-hop documentary history “Hip Hop Evolution” (Netflix, streaming) starts a second season, with stories on 2 Live Crew and KRS-One. “District Salvage” (Netflix, streaming) is the third Colombian series from the streaming service, about a guerrilla fighter sho arrives in Bogotá to rejoin society and reconnect with his family. In Spanish with English subtitles. Carson Kressley joins interior designer Thom Filicia in advising homeowners in the new series “Get a Room with Carson & Thom” (Bravo, 9 p.m.). Christina Hendricks, Isabelle Huppert and Jack Huston star in the latest installment of “The Romanoffs” (Netflix, streaming). Who will Boston face in the World Series? It’s Game 6 of the NLCS of Dodgers at Milwaukee (Fox Sports 1, 8:30 p.m.). The three night “Autumnwatch New England” (PBS, 8 p.m., check local listings) comes to an end. It’s Halloween on many Friday night sitcoms from “Last Man Standing” (Fox, 8 p.m.) to “Fresh Off the Boat” (ABC, 8 p.m.) and “Speechless” (ABC, 8:30 p.m.). Its a standup special from the short-term “Saturday Night Live” cast member, with “Finesse Mitchell: My Spirit Told Me to Tell You” (Showtime, 10 p.m.). Rebecca organizes a séance on “Crazy Ex-Girlfriend” (CW, 9 p.m.). Sid still has to come out to his son after all these years on “The Cool Kids” (Fox, 8:30 p.m.). Remi co-copts an FBI case on “Blindspot” (NBC, 8 p.m.). A mentalist tries to get an ordinary American bigot to take a bullet for an immigrant on his new special with questionable ethics, “Darren Brown: Sacrifice” (Netflix, streaming). Chefs on “Hell’s Kitchen” (Fox, 9 p.m.) also have to compete in a sled race. How violent can Indonesian action films get? “The Night Comes for Us” (Netflix, streaming) may have the answer. There’s a blackout on “Blue Bloods” (CBS, 10 p.m.). On “Dynasty” (CW, 8 p.m.), Fallon goes to desperate measures to sell Carrington Atlantic. The sister of the man who died after robbing a bank with a bomb around his neck talks about the case on a two hour “Dateline” (NBC, 9 p.m.). “MacGyver” (CBS, 8 p.m.) has to secure a tanker of liquid oxygen. A fallen soldier is escorted to Oahu on “Hawaii Five-0” (CBS, 9 p.m.). On “Van Helsing” (Syfy, 10 p.m.), Vanessa relives the memory of ancestors in Colonial Hong Kong. An explosion derails the vote on “Z Nation” (Syfy, 9 p.m.). As the new version of the film opens in theaters, the original 1978 “Halloween” (AMC, 7:30 p.m.) is on TV again, a B-movie horror that’s being bandied about as a classic, amusingly. The British director Gerald Thomas is saluted on Turner Classic Movies with the comedy “Carry On Screaming!” (8 p.m.), “Nurse on Wheels” (10 p.m.) and “Raising the Wind” (11:45 p.m.). Then comes the 1980s horror film “Dreamscape” (2 a.m.), and “Dead Sleep” (3:45 a.m.). NBA action includes Boston at Toronto (ESPN, 8 p.m.) and Golden State at Utah (ESPN, 10:30 p.m.). Hockey includes Minnesota at Dallas (NBC Sports, 8 p.m.). College football has Yale at Penn (ESPNU, 7 p.m.), Colorado State at Boise State (ESPN2, 9 p.m.) and Air Force at UNLV (CBS Sports, 10 p.m.). Men’s college soccer has Dartmouth at Columbia (ESPNU, 5 p.m.). Kelly Ripa and Ryan Seacrest: Shaquille O’Neal, Kieran Shipka. The Talk: Regina Hall, Jameela Jamil, Camila McConaughey. Steve Harvey: Nicole Ari Parker, Kimberly Caldwell-Harvey, DeeDee McGuire. Ellen DeGeneres: Jonah Hill, Whitney Cummings. Wendy Williams: Busy Philipps. The Real: Chloe x Halle. Stephen Colbert: Robin Wright, Caitlin Peluffo, Hillary Rodham Clinton, Melissa McCarthy. Jimmy Kimmel: Bryan Cranston, Wu-Tang Clan, Paul Shaffer. Jimmy Fallon: Nick Jonas, Elizabeth Olsen, Robin Schulz (rerun). Seth Meyers: Kelly Clarkson, Freddie Highmore, Ken Burns, Sean Kinney (rerun). James Corden: Kaley Cuoco, Joel McHale, Gaz Coombes (rerun). Carson Daly: Michel Gondry, Deafheaven, Shannon Purser (rerun).